The Nitecore MH27UV is a versatile flashlight with a powerful 1000 lumen XP-L HI LED, as well as UV, Red, and blue LED lights that bring another level of control over your surroundings. It was built using Nitecore's strict standards and features a powerful beam capable of reaching across long distances. Perfect for identifying and defending against any threat. The multi-platform illumination feature serves as a supplementary lighting aid for more complex environments. 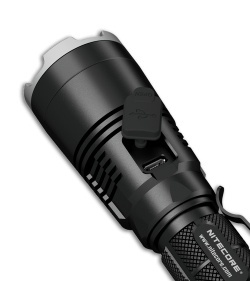 The functional design of Nitecore's MH27UV make it ideal for personal or professional use. 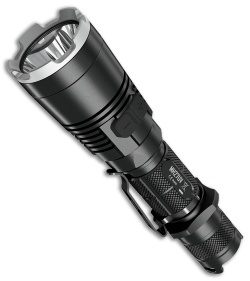 High: 250 lumens / 6 hours 15 mins.